As an independent small business owner you know the challenges of working with limited resources, so much to do and so little time. It’s our nature, the squeaky wheel gets the oil and frequently some of the most important aspects of a small business, like marketing, get lost in the day to day frenzy of putting out fires. When finally addressed, our depleted focus and energy can cause us to make ineffective and costly decisions. We’re all aware of the importance of mapping out a marketing plan. Without a strategy, business simply cannot move forward. Good marketing defines and identifies who you are and what you do. It entices sales, maintains existing customers and finds new ones. It is essential to the growth of your business. Hi, I’m Angela Cooley. One thing I know is that we’re all the same; time and money are our scarcest resources. I will help you economize on both as we work together to DISCOVER your business goals and your unique position in your market. We’ll STRATEGIZE and IMPLEMENT a solid and effective marketing plan that fits into your budget and maximizes your ROI. You know your business and I know mine. Together, we have what it takes to grow your small business! Solutions Marketing Group is a transformative marketing and advertising agency located Delaware County, PA. Angela’s vision of forming Solutions Marketing Group was born during her 17 years of working in both marketing and management capacities for a variety of independently owned retail businesses. Her vast experience, unique ideas and passion for problem solving has enabled Angela to assist small businesses in achieving greater profitability and success through a well thought out and applied marketing plan. 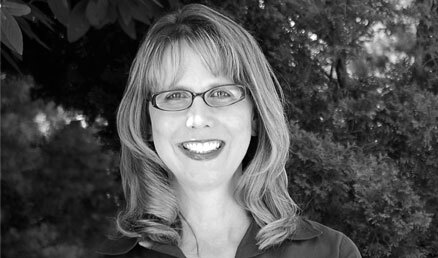 Angela specializes in providing simple solutions to complex problems by implementing fresh marketing strategies with measureable results. Contact Angela today to schedule a strategy session. She will work with you to design a comfortable, achievable and highly successful plan to propel your small business forward into long term and measurable profitability.